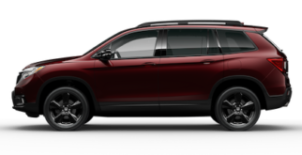 Now that you’re the proud owner of a Honda vehicle, Valley Honda would like you to be aware of the additional perks to owning a Honda vehicle. The safety, reliability, and value of a Honda are well known and certainly perks in themselves, but Honda owners are also entitled to additional benefits! One of the first things you can do to take advantage of being a Honda owner is to register your vehicle on the Honda Owners site. Registering your ownership of a Honda vehicle ensures that you can receive important communication from American Honda Motor Company, including special service offers, safety recall notices, etc. Honda owners can also travel safely and confidently in their vehicle to attend one of the many Honda sponsored events that take place throughout the year. Honda is a sponsor of the Aquarium of the Pacific as well as Little League® Baseball and Softball. Honda also participates in the many auto shows that take place around the United States. As a Honda owner, you can take pride in being part of a company that cares about local communities, such as your own. Honda also strives to provide as much information and assistance as possible to Honda owners, including Accident Assistance. Visit Collision.Honda.com to learn more about what to do if you’re in an accident, and for information on collision care. Owners of a 2015 Honda vehicle or newer and have a 3-year/36,000-mile warranty are also privy to Honda Roadside Assistance 24 hours a day. You can take part in the Honda community by interacting with Honda on social media, including Facebook, Twitter, Google+, Pinterest, and Instagram. At Valley Honda, we pride ourselves on world class customer service and strive to provide our customers with this level of service from the moment they walk in the door through the duration of their ownership of a Honda vehicle. 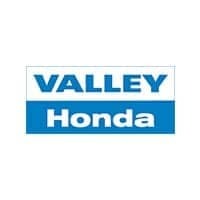 It is our hope that you’ll continue to trust Valley Honda with anything you might need, whether it be sales, finance, service, parts, or assistance with the functionality of your Honda vehicle. To become a Honda Owner, use the button below to see all that Honda has to offer! We look forward to serving you.